We see a lot of Nintendo fan projects at My Nintendo News — however, none of them have stopped us in our tracks quite like this one. 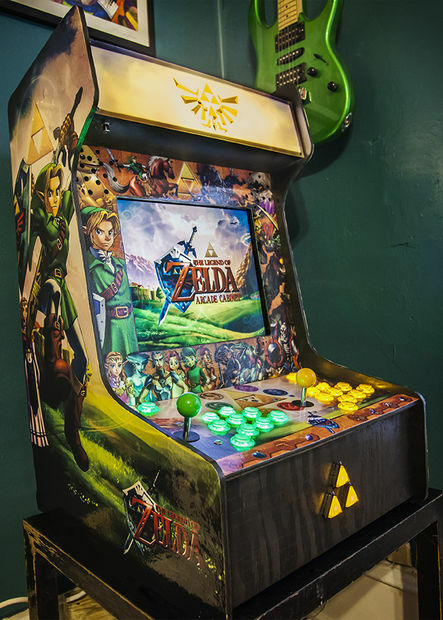 If you have ever wanted to build your own The Legend of Zelda: Ocarina of Time arcade cabinet, featuring a full 11-button N64 layout, you have reached Mecca. Over at Instructables, user phrazelle showcased his project, including a comprehensive how-to guide regarding how to build it, what you need, and photos documenting the entire process. Check out the guide here, along with the picture of the finished project below. Will you be trying your hand at this? 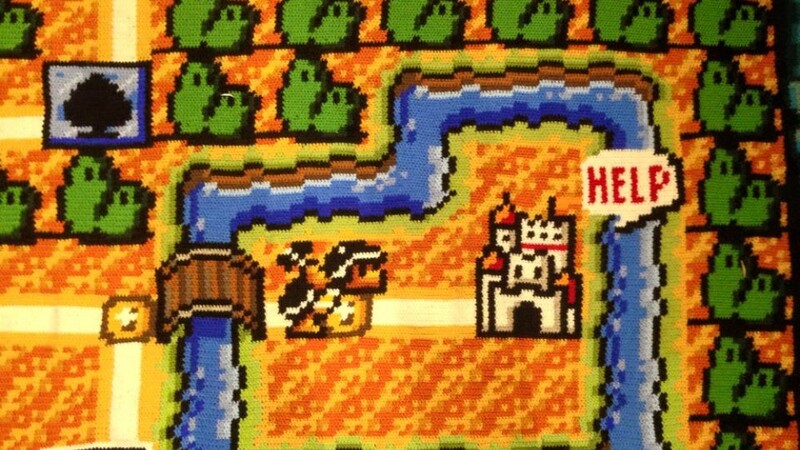 A dedicated Super Mario Bros 3 fan from Norway has recreated the Super Mario Bros 3 map entirely out of yarn. The epic feat took the man six years to fully complete the World 1 map from the iconic video game. Kjetil Nordin, who is 31, says that it is “very emotional, fun and weird to have finished. It has taken such a long time.” You can check out plenty of images of the masterpiece, right here. “The hardest thing has been to accept that it took such a long time. I’ve spent 800 hours crocheting and many hours researching and searching for the correct yarn. Today, as I’m sure most of you are aware, is Square Enix’s E3 press conference. The show starts after Nintendo’s and promises to be something special. Kingdom Hearts Insider is reporting that Square Enix have five currently announced games to showcase, as well as an impressive six unannounced games. I know lots of you are hoping for some western release dates for the Dragon Quest titles, which are currently Japan only at present. We should find out soon enough. Nintendo UK is confident that they will be able to pull in those Nintendo fans who have yet to purchase a Wii U with its new colourful new IP, Splatoon. Nintendo UK marketing manager Chandra Nair believes that the game will appeal to those Nintendo fans still on the fence about buying the struggling console and could well result in improved sales for Nintendo’s current home console. Whether they will be able to do this remains to be seen, but it will certainly be interesting to watch. Wow, it’s nearly that time again when we gather to find out exactly what Nintendo has in store for the Nintendo 3DS and Wii U for the rest of the year. Nintendo of America has tweeted that their E3 plans will be revealed at 9am PT tomorrow. It should certainly be interesting to find out what they are planing to do this year. Every month, new and completely free DLC for Monster Hunter 4 Ultimate on Nintendo 3DS is being released. Now you can take a look at what the monthly DLC for May has to offer! Including Mega Man, Street Fighter, Metroid gear and many more, which you earn by hunting certain monsters. Watch the video to find out which monsters you need to hunt to get which gear. There are also new Challenge Quests to play through. I wonder what will next month’s DLC give to us? I have long-awaited the next-gen arrival of Dark Souls 2, and last night I finally got my first taste. I’m only in the games infancy but so far it’s every bit the exacting, punishing and glorious adventure as it’s predecessors. The world of Drangleic is as unique and atmospheric as any I have experienced in recent memory. The landscapes truly draw us in and make us forget about anything other than the depressing and seemingly hopeless world we are exploring. There is more story here than in the original title, but it’s not so much that it takes away from the games masterful mystery world. I have only but scratched the surface, but I am excited to charge on.